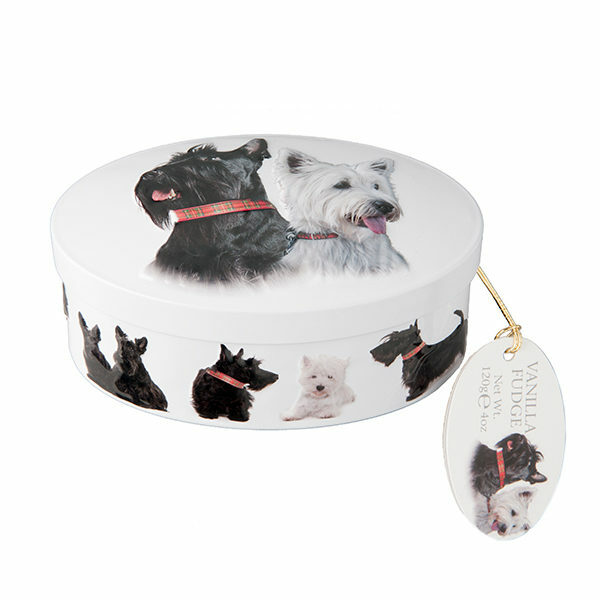 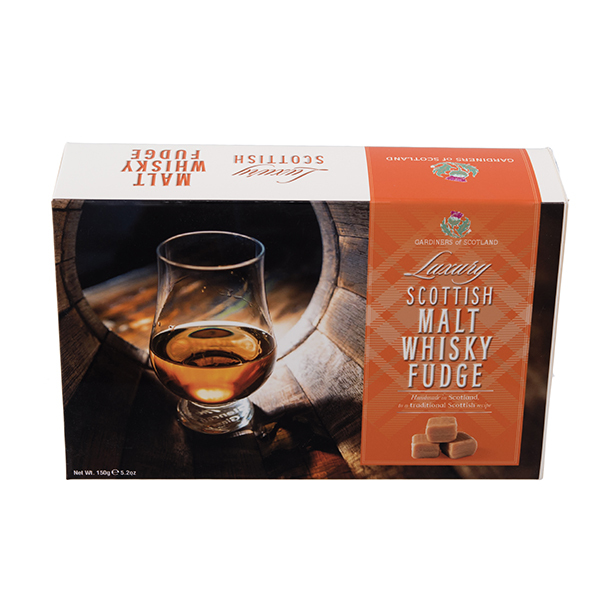 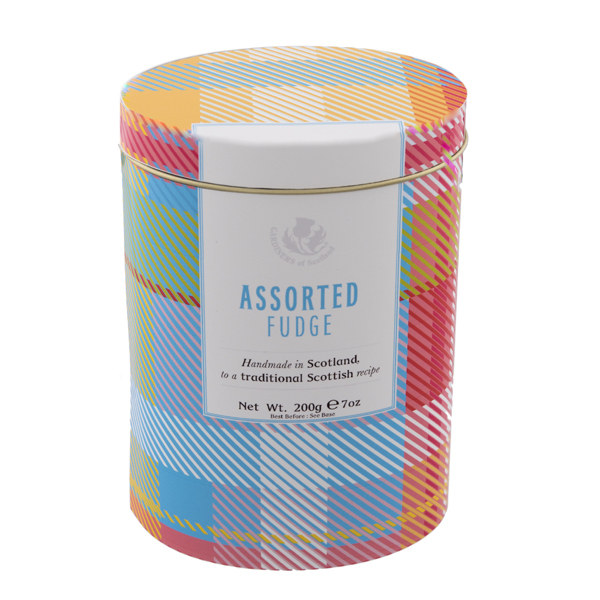 Luxury Malt whisky Fudge made to a traditional recipe incorporating only the best Scottish Malt Whisky. 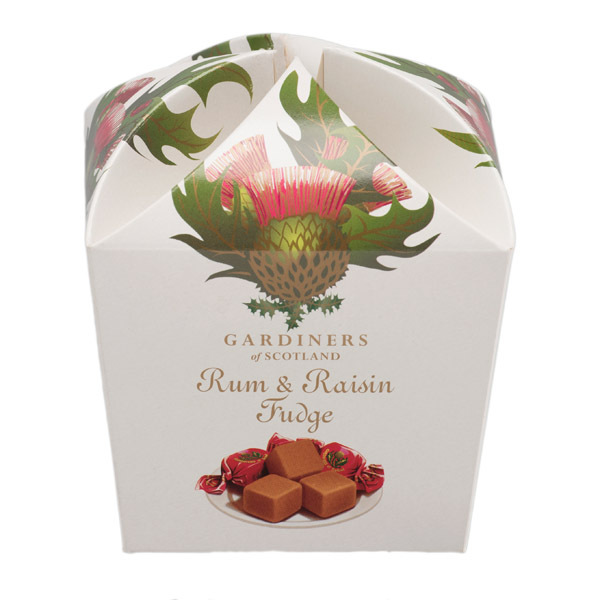 A real taste of Scotland. 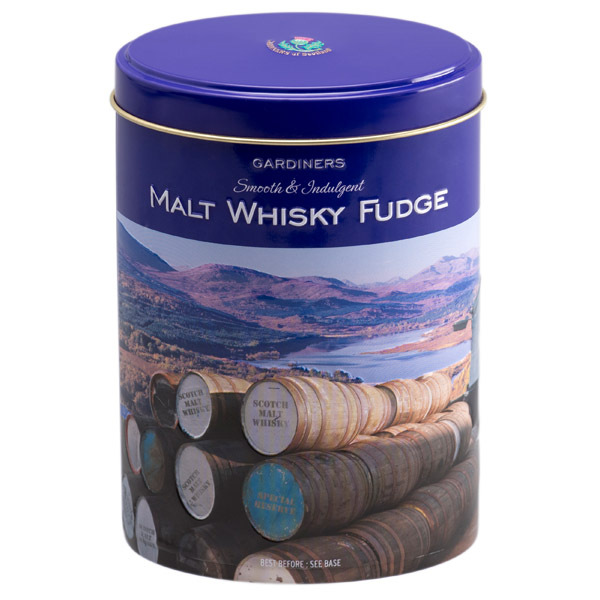 Ingredients : Sugar, Glucose Syrup, Sweetened Condensed Skimmed Milk, Palm Oil*, Malt Whisky (0.2%), Flavouring, Salt.